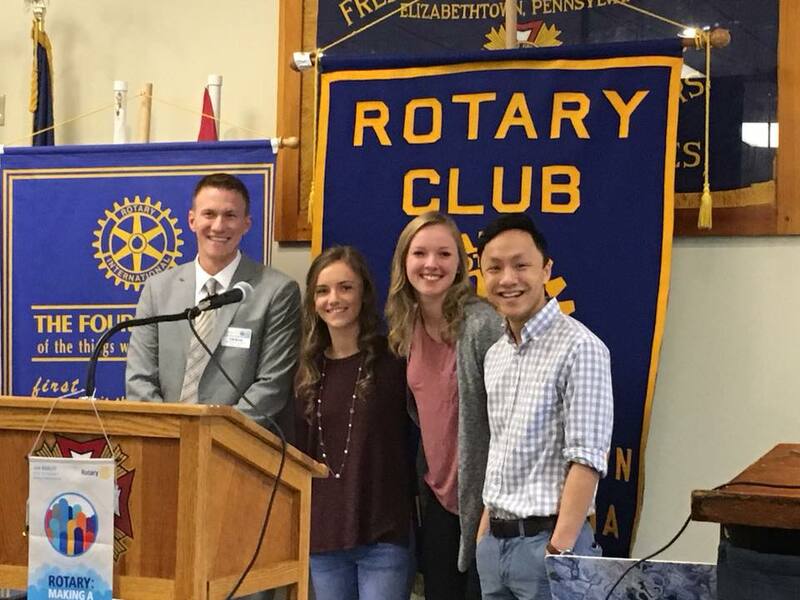 A tradition since 1947, the Elizabethtown Rotary Club honors outstanding seniors at Elizabethtown High School and Mt. Calvary School as Students of the Month. The students attend all Friday Rotary meetings and at the end of the month, with parents present, provide a short speech or skit to the club. The students also have their names posted on the Community signs in front of Giant.